What would you do if you won the lottery? They say winning a lottery can give you a huge and dazzling fortune right away. But, not everyone gets to enjoy that life of glitz and glamour. There’s actually an unlucky bunch who, to this day, regret ever winning that cash. Some ended up squandering all their prize money, and this is the prime cause of the tremendous heartaches from which they are currently suffering. Some were even killed for it. 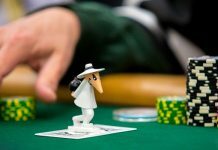 Now, you’re probably wondering how someone can waste millions of dollars or get into trouble after winning all that cash. Well, the answer is pretty simple! Once a person gets that check, he or she has no blueprint or plan. And, as things head south, he or she starts to react emotionally. That’s why it’s always a good idea to reach out to a financial expert if you can’t figure out how best to spend that money. Sit down with him or her and think about your daily cash needs. Look into your insurance needs and put aside enough money to deal with any emergencies. 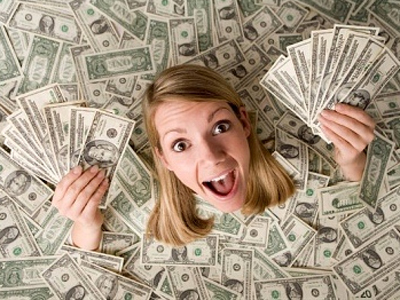 Take advantage of a high-interest rate savings account if you suddenly find yourself flush with millions of dollars. Just because you’ve won the lottery doesn’t mean you’re immune to financial woes, or any other kind of problem. It only means you’re in a better position to tackle the issue at hand. 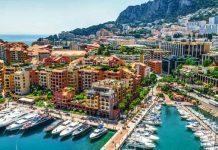 Listed below are examples of individuals who found out the hard way that winning a lottery can be a losing proposition. This Georgia lottery winner decided to use the $3 million he won in a scratch-off lottery game to purchase a trove of methamphetamine. 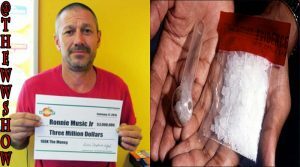 According to the Georgia authorities, Ronnie Music Jr. was supplying more than 10 pounds of methamphetamine to different drug dealers in the state of Georgia. The 46-year-old man is currently serving a 21-year sentence in a federal prison. William “Bud” Post III, at one point, worked at carnivals and even spent some time in jail. He didn’t have any ambitions in life because he had absolutely no hopes of ever making millions one day. 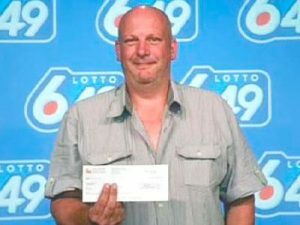 So, you can imagine how happy he was when he won $16 million in a Pennsylvania lottery while in his 40s. At that time, he only had a couple of dollars to his name. It only took a minute for this guy to start drowning in debt. He decided to purchase a twin-engine airplane even though he had no background in aviation or even a pilot’s license. With this purchase, he had a debt of $500,000 in just three months. And, it only got worse! He tried committing suicide and was eventually convicted of assault. You could say his yearly after-tax prize payments were spent with little regard for the future! He won the lottery in 1988, and two years later, he was filing for bankruptcy. Post passed away in 2006 at the age of 66 after suffering from a respiratory condition. 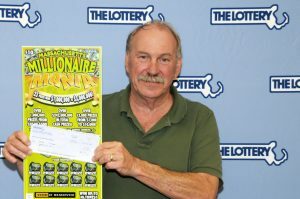 Willie Hurt won $3.1 million after playing Michigan’s Super Lotto in 1989. Two years later, he was accused of murdering a 30-year-old woman and all his accounts had zero balances. The local authorities said he shot the woman in the head after arguing about crack cocaine. It’s still not clear what exactly happened to him because we don’t know whether the murder charges stuck. Some people might just make you think winning a lottery is like a walk in the park. Although the odds were stacked against her, Evelyn Marie Adams managed to defy them not once, but twice! At the time she was just your typical Jane Doe, working as a clerk at a New Jersey convenience store. In 1985, like many other people, Adams decided to try her luck for the first time. 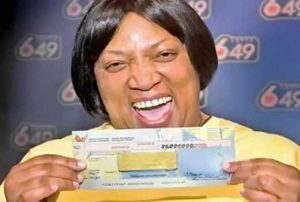 She won $3.9 million in a Pick 6 lottery game. But, she didn’t stop playing. Before long, another $1.4 million was all hers. The New York Post got in touch with her in 2012 and found out she was living in a trailer park and working two jobs, so she could feed her family. Apparently, she lost most of the money in Atlantic City casinos. Another Michigan lottery winner met with some hard times after winning a large sum of money. 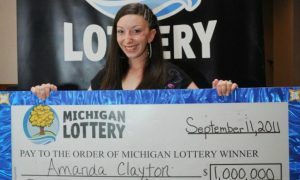 In 2012, Amanda Clayton was only 25 years old when she was charged with felony welfare fraud despite winning $1 million on the “Make Me Rich” game show. According to the Detroit Free Press, she sparked some anger from the public when it was discovered she was still collecting food stamps. The court sentenced her to nine months’ probation. However, she later died, possibly from a drug overdose. 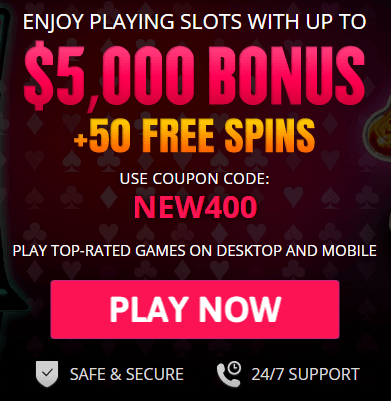 The CBS affiliate in Detroit reported that Freddie Young split his $46 million jackpot with his lottery club in February 2011. A few months later, the local authorities accused him of killing his daughter’s landlord, 45-year-old Greg McNicol. An argument ensued when McNicol showed up to collect unpaid rent, and that’s when Young shot him. In 2012, he was convicted and was sentenced to 25 years in prison. 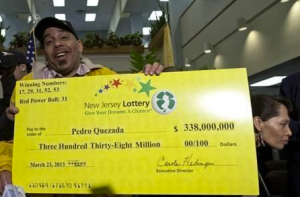 In 2013, Pedro Quezada, a 49-year-old from New Jersey, won $338 million and was arguably one of the richest Powerball winners of all time. For a while, everything seemed perfect. But, four years later, Quezada was arrested and charged with sexually assaulting a child for three years. Camelia Valdes, the former Passaic County prosecutor, said the young girl was between the ages of 11 and 14 at the time. The sexual assault happened before he won the lottery. The 46-year-old kept promising he’d stop betting. But, he couldn’t fight the urge. 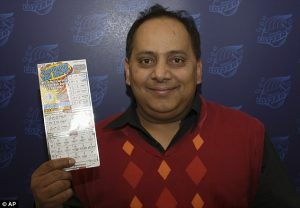 While Urooj Khan was still battling his gambling addiction, he hit a $1 million jackpot. 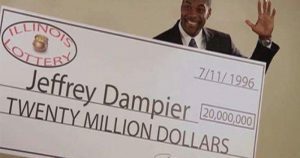 He decided to cash out in one lump sum instead of working with installments. Unfortunately, he never saw a single cent. After he was publicly announced as the winner, he just dropped dead. The coroner at the time tried to convince the family he died of natural causes, but one family member didn’t buy it. A second autopsy was carried out and it was revealed the young man died of cyanide poisoning. The estate quickly cashed the check and local law enforcement treated his death as a homicide. 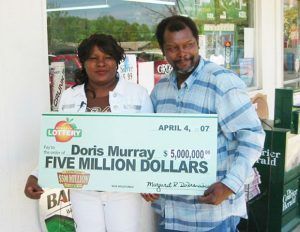 All her dreams came true when Doris Murray hit Georgia’s $5 million lottery jackpot. 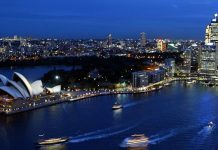 Unlike other winners, she maintained a low profile and continued living a modest life. Her poor taste in men was the reason why she never got to enjoy her money. Things weren’t working out between her and her boyfriend and he stabbed her to death after an argument. Family and friends have insisted he took away their loved one because of money. This enterprising guy from Illinois decided to open a gourmet popcorn shop with the $20 million jackpot that he won. Jeffrey Dampier bought gifts for his sister-in-law once in a while — the two were having a clandestine affair. Sadly, his sister-in-law had other plans in mind. She and her boyfriend kidnapped Dampier and shot him to death. They were both convicted and are still serving their prison sentences. Money can make you live a comfortable life, but it’s not everything. It can be a blessing and curse at the same time.